The “Big Sky Blue” blank color is frankly, beautiful, the rods wraps flawless, and epoxy work perfect. The cork is high quality and has been reshaped from the older short and thick handles of Winston’s past to a new, thinner and slightly longer top handle. 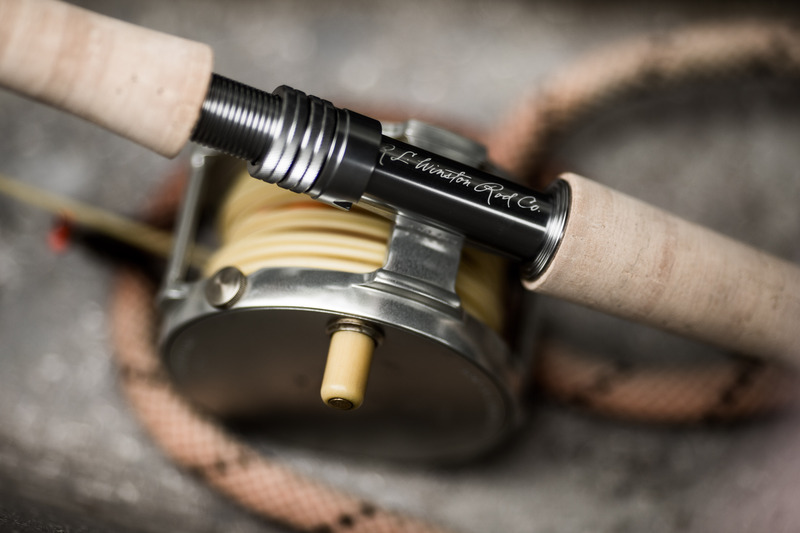 The down locking reel seat is titanium anodized aluminum with Winston’s signature logo. Lightweight, multi-modulus graphite with chrome nanolite stripper guide and chrome plated snake guides keeps the swing weight of the rod low and light in hand. 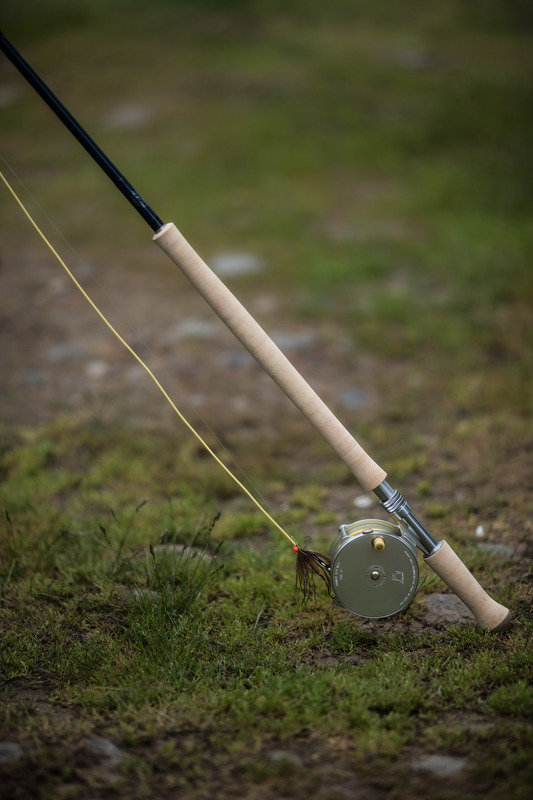 High quality spey rods typically range in price from $500 to $1,200. The Nimbus two-handed line up is priced at a very affordable price of $750. Winston’s craftsmanship makes this rod look and perform like a $1,200 stick. 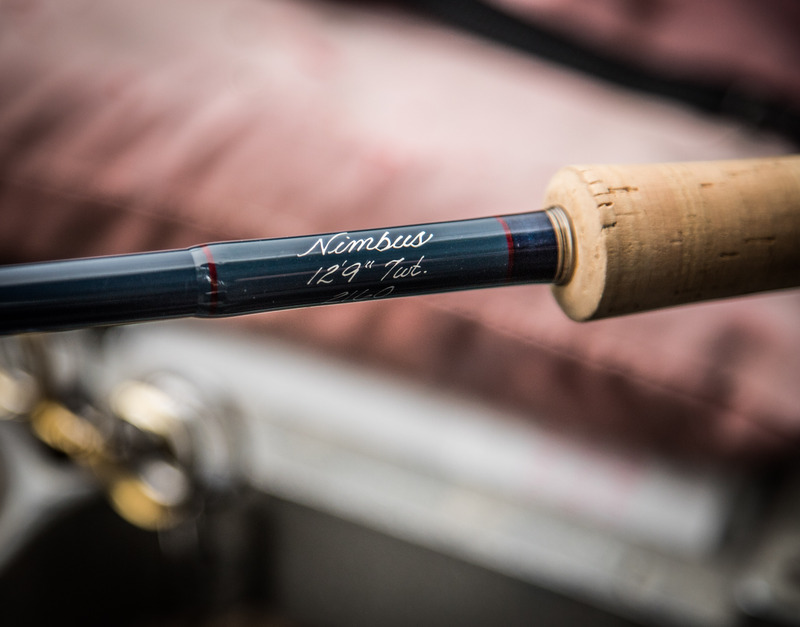 Winston describes the Nimbus line up as “progressive, fast-action”. That may be true for the rest of the line-up but this 12’9” 7 weight is anything but fast action in my opinion. I was able to cast a wide range of spey lines to get a feel for this rod’s grain window. The lines I liked best on this rod were the Airflo Skandi Compact 450 grain, Airflo’s 480 grain F.I.S.T Skagit head, and the Rio Max Skagit in 500 grains. Anything over 500 grains felt too heavy for my stroke and I preferred a head that was on the “longer” side (21 feet and longer). I also cast a wide range of flies and sinking tips. There wasn’t one that I felt like the rod couldn’t handle. I started off with an Airflo Skagit Switch in 510 grains and 12 feet of T-11. Then went to an Airflo F.I.S.T line with 12 feet of T-11, then 10 feet of T-14. Once satisfied with that line up I switched to the RIO Max 500gn Skagit head with 12 feet of T-14 followed by 12 feet of T-17. The T-17 with a heavily weighted intruder was a bit cumbersome but I would have been surprised if it wasn’t. I also really enjoyed casting and fishing an Airflo 10 foot T-11 FLOW tip in shallow tail-outs and riffles. I was lucky enough to fight some large steelhead on this rod. Its full flexing nature took those nasty, hair-raising, head shakes from a big fish like a champion while still providing enough backbone to turn a fish of a lifetime. 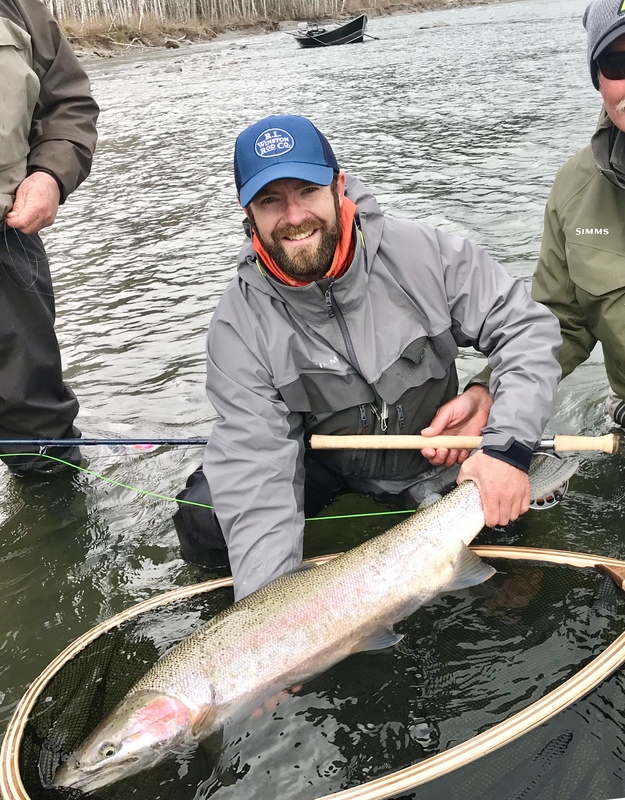 The Nimbus 12’9″ 7 weight handled this 22 pound steelhead. The best argument for adding this rod to your quiver or making it your only rod is the feel that this rod produces while casting. Call it soul, call it love, call it whatever you want this rod has it. A lot of it. My heart is happy when I am casting this rod. It gets it done with minimal effort from the caster while producing an oh-so smooth sensation. I particularly enjoyed the ability of this rod to excel in both short, leader casts and long bombs. The mid-flexing tip allows easy, elegant short game and the bottom end of the rod throws darts at distance. This rod is designed for fisherman. Yes, it is a casters rod but its ability to load easily, with a short line, makes my short game on point. 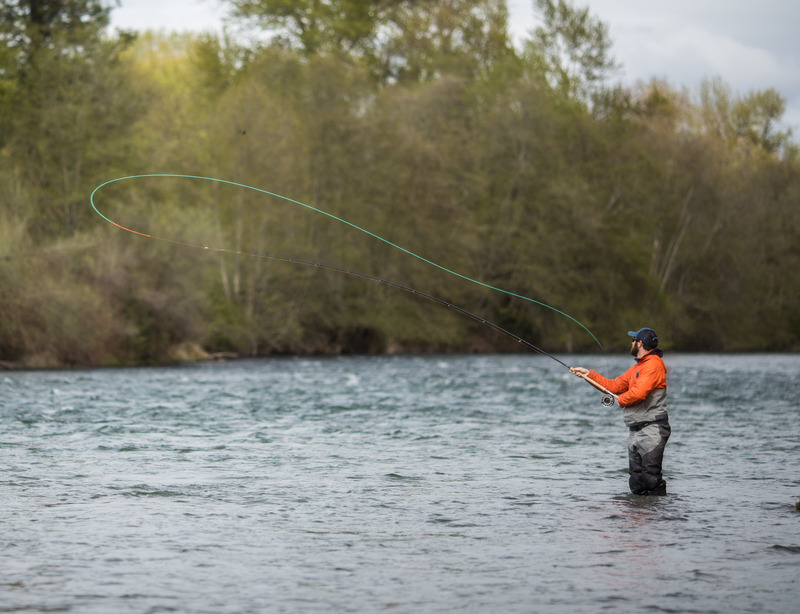 PRO TIP: Don’t wade out in the middle of the river and strip off a ton of line for your first cast. START SHORT in ankle deep water. I catch more fish within 20 feet of my beginning position than you’d like to know. This rod will be my go to rod for both summer and winter steelhead fishing. It is just such a joy to fish. Winston is an easy company to support. 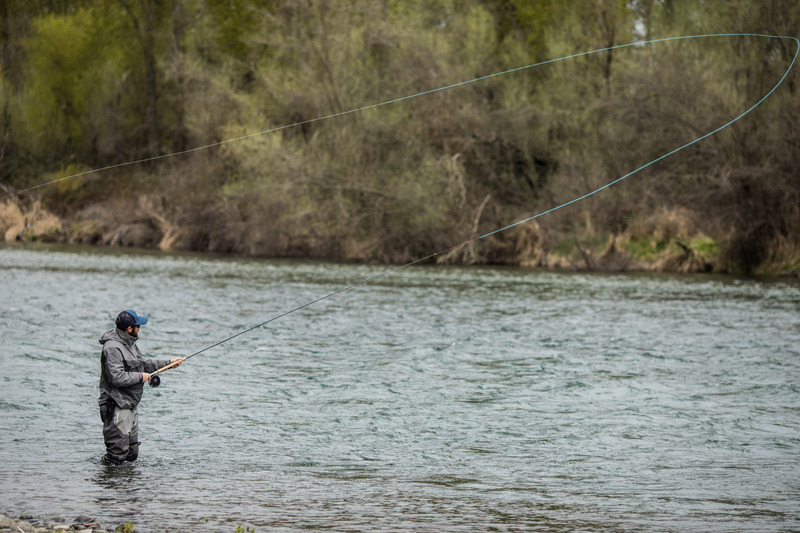 They produce rods in Montana for fisherman, that fish as well as they cast. After all, at the end of the day, I am a fisherman. Not a caster.